Microsoft’s latest Windows 10 edition is extremely good providing easy access and fast processing. We save our files and photos in our PC’s and laptops. While doing some work we accidentally delete our photos if they are not properly organized and lost our important files. There are many third party software’s available on internet, but we can’t rely on them. Third party software’s sometime conflicts with system drives and make the situation even worse. There might be a chance that we can lose other files as they interfere with other folders and directories. 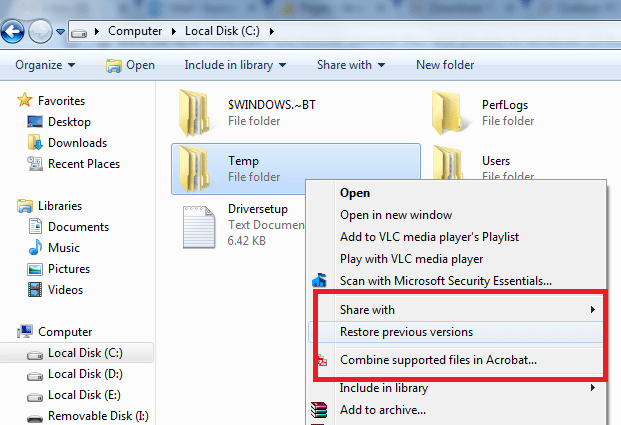 Windows also provide an option to restore files and we can get back our data again. If we detect the damage early then it is easy to recover files in good quality. If we delay in restoring files then we will not be able to recover all files and there quality may also degrade. Important Note: We should ensure not to write any data in the drive till we backup all files and folders. Go to desktop and double click on the Recycle Bin icon. Select the file you want to retrieve. Right click on file and then select restore. The file will be restored to the same location from where it was deleted. Some people have the habit to delete files using Shift+Delete button that permanently deletes file or folder. If we permanently delete a photo or file then it is not moved to Recycle bin. In this condition the computer cannot read your file but technically it is there until another file is copied to same location. The files are just marked deleted in File Allocation Table (FAT) or Master File Table (MFT). Go to the Folder from where you have deleted files. Right click on the folder and select the “Restore previous version” option from the options. The Process will start and your files will be back up. Go to Start Menu>>control panel and click System and Security. In next window select the System option and then click on system protection in left navigation pane. 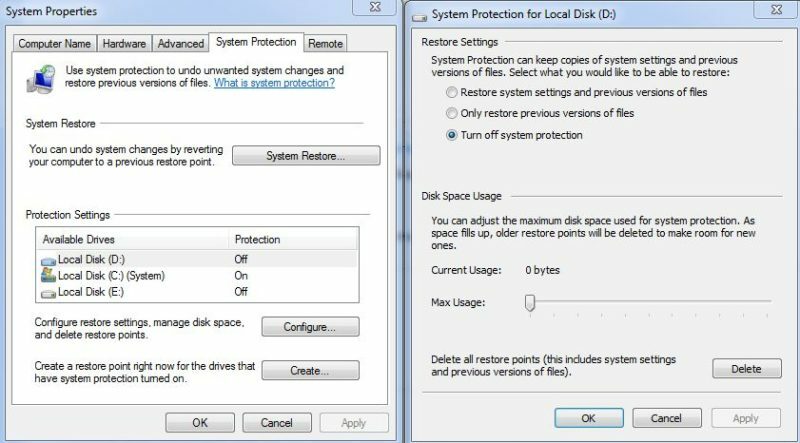 The system protection dialog box will open, select the drive from where you want to recover files and click on configure button. Your deleted folders and files will be recovered in Windows 10 manually. The methods described above are successful in recovering data most of the times but there are situations when you don’t have restore points in the system or the restore point available is too old. And the file may have changed a lot in that period in such situations there is a need of some good third party photo recovery software which can do the task for you. Stellar Photo recovery software is one such good tool which can recover lost data for you in minutes. You just have to select the drive from which you want to recover the data rest leave it on Stellar Picture Recovery Software.